We’ve been selling commercial insurance since we were established in 1983. During that time have focused on developing lasting relationships with our clients by delivering competitive insurance solutions tailored precisely to their needs. Unlike the usual faceless call centres, we are committed to delivering a personal service, and our long-established relationships with major insurers enables us to offer our clients special arrangements that they wouldn’t get from other firms. In short, whatever your commercial insurance requirements, we will provide you with a competitive and personal service that is second to none. 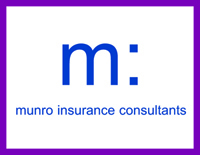 Munro Insurance Consultants the trading style of Munro & Sons Ltd which is authorised and regulated by the Financial Conduct Authority under register number 307329 and holds Interim Permission as a Credit Broker 449453. Munro Insurance Consultants do not charge any fees to customers in relation to Credit Broking activities. We are the market leader in the bowling club market. We have negotiated extremely competitive premiums for clubs. The greensure product protects your club’s assets and its facilities aswell as covering areas such as Employers’ and Public Liability and Directors’ and Officers’ Liability cover. With us you can enjoy a great claims service, easy administration and you can take advantage of our attractive premium payment terms. If you are serious about cutting costs to help maintin your margins, and are not afraid to make the change to advisors who will be actively dedicated to your business. We provide cover for Commercial, Retail, Industrial, Manufacturing, Office, Medical, Dental and Residential owners. Buildings Insurance All Risks provides cover on a Reinstatement as New basis. Cover can be extended to include subsidence. The Contents/Fixtures & Fittings Insurance All Risks cover we offer is on a Reinstatement as New basis for the contents/fixtures & fittings of the premises. The services we provide include Buildings Insurance, Contents/Fixtures & Fittings, both with All Risks Cover on a Reinstatement as New basis. We can also arrange Business Interruption Insurance, Loss of Licence cover for licensed grocers, Loss of Business Cash Through Theft, including theft by employees and Goods in Transit cover. The Deterioration of Stock cover provides replacement of stock lost as a result of breakdown of freezers, refrigerators and cold rooms and the Employers’ Liability Insurance provides cover as required under the 1969 Employers’ Liability Compulsory Insurance Act. If you have any questions or would like to discuss any of the products or services we offer please call us on 0141 840 4114. Alternatively you can fill in the form below and a representative will come back to you as soon as possible. If you would like to discuss your requirements please contact us and we will arrange for a suitably qualified representative to make contact with you. Munro Insurance Consultants the trading style of Munro & Sons Ltd which is authorised and regulated by the Financial Conduct Authority under register number 307392 and holds Interim Permission as a Credit Broker 449453. Munro Insurance Consultants do not charge any fees to customers in relation to Credit Broking activities. Munro & Sons Ltd © 2017. All rights reserved.